ATLANTA -- Two apartment buildings were evacuated on Wednesday after a gas leak, according to fire officials. The leak happened at 525 Glen Iris Road. Traffic was blocked from Glen Iris to North Avenue, and from Winstron Street to Dallas Street. Crews were on scene to repair the leak. Stay with 11Alive.com for more details. 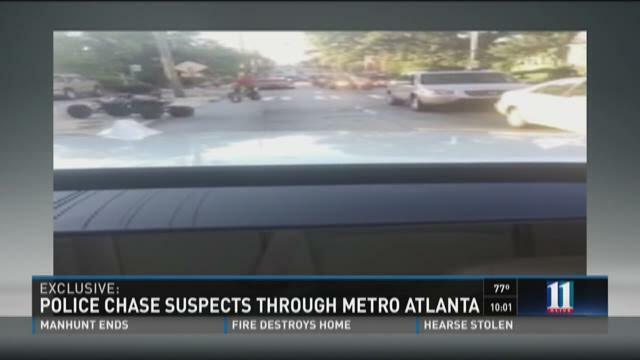 ATLANTA -- A large group of people on off-road vehicles has caused a stir in Atlanta's Old Fourth Ward, and police are reporting that they have made arrests. 11Alive has received exclusive video of the scene near the King Center showing all-terrain vehicle and dirt bike riders weaving through traffic and on sidewalks. Other exclusive video also shows police giving chase not far behind a cluster of riders. ATLANTA -- A 14-year-old girl is among three people who were shot early Saturday morning, Atlanta officials confirmed. The incidents happened in the city's Old Fourth Ward in the same general area but there's no word as to whether the incidents are related. Now police are looking for one or more gunmen connected to the crimes. Police said the teen was walking home on Boulevard when she was shot in the leg. She was taken to Egleston for treatment. About 30 minutes after that, two men were shot in the same area. The first was shot in the arm and the second in the leg. Police said both victims in this incident refused to cooperate with investigators. According to one person who was there, one of the victims paid him $10 to drive him to the hospital. ATLANTA -- Millions of Americans are trying to make sense of what was a senseless attack including many here in Atlanta. Hundreds gathered Thursday night at Ebenezer Baptist Church where Dr. Martin Luther King once preached to try and cope with the tragedy. "Come on and thank him right now. I just want to thank you Lord," a unified group of mourners sang. Representing all faiths, races and backgrounds and, with one common goal in mind, they all came out Thursday night to pray for the victims who lost their lives in Charleston, S.C. as well as their families and the nation as a whole. ATLANTA -- Alvin Bailey had a sign to change outside his church, Big Bethel AME on Auburn Avenue – and a message of solidarity and grief to send on its behalf to its sister church in Charleston, Emanuel AME chuch. "We're just in prayer and just in shock to everyone as they were adjusting to the news this morning," said Big Bethel's pastor, Rev. John Foster. 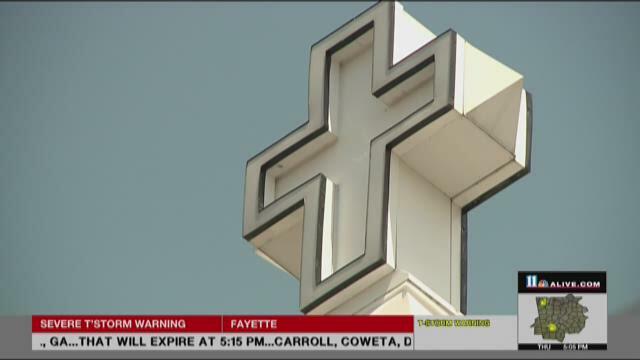 Foster said one of the murder victims at the Charleston church was Rev. Myra Thompson, the mother of Big Bethel member Denise Quarles. Foster said Quarles was in transit to Charleston as of Thursday morning. Foster said Rev. 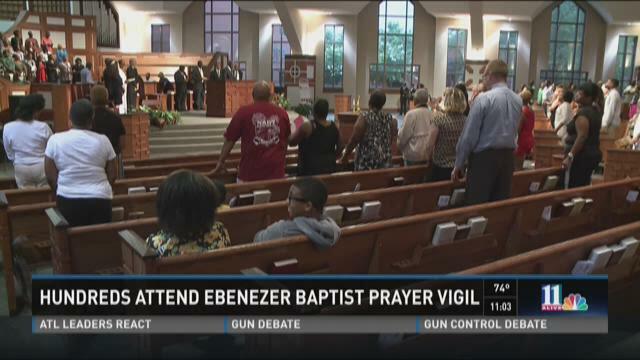 Thompson was leading the prayer service that was attacked by a gunman Wednesday night. ATLANTA – An ad campaign designed to raise awareness about police misconduct has been suspended after some claimed the billboards sent the wrong message. The Atlanta Citizen Review Board planned to launch the campaign as a direct response to the number of incidents of police-involved shootings locally and nationally. Twenty signs went up around the city on Monday telling people "Don't Run! Report police misconduct." The Atlanta Citizen Review Board said that the signs are meant to educate the public.